First day of Freedom... I mean... School! Friday was our first day back to school. We were all SO ready. Zoe is in 3rd Grade this year. We know it's true... but we can't quite believe it. 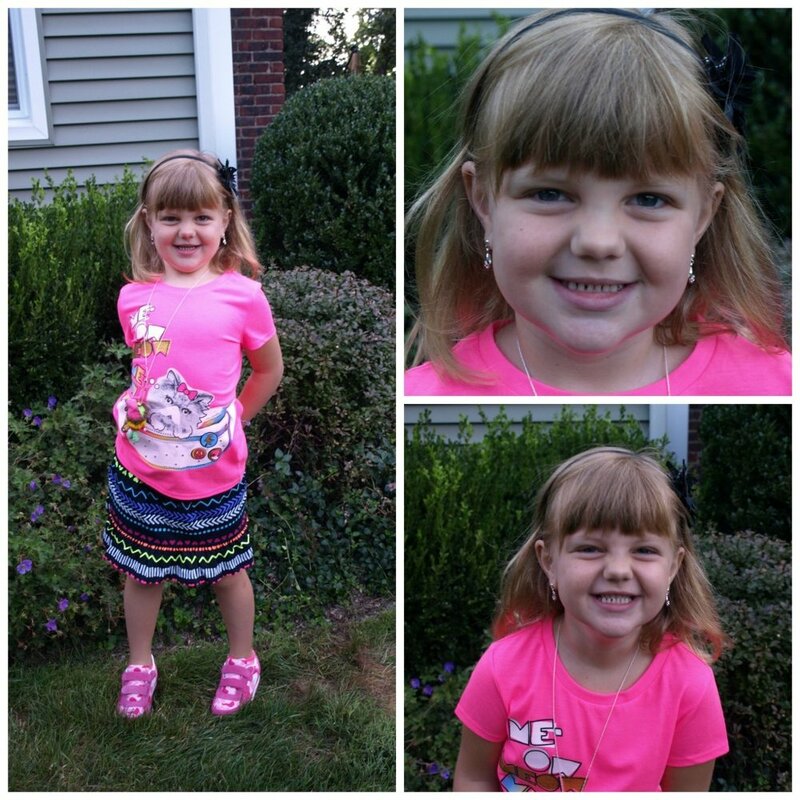 How did our teeny tiny baby Zoe turn into this amazing 8 year old 3rd grader? She was really looking forward to getting back to her friends and her normal school routine. No worries, no concerns, just excitement. I really am proud that she has such a love for school. Ana is in Kindergarten this year. Kindergarten! I feel like I was just posting ultrasound photos and now here she is 5 years old and off to school with the big kids. Time certainly flies. I was a little worried about Ana's first day. I honestly never know how she is going to react... and so I always prepare for the worst. She was amazing though. She was just as excited as Zoe and was just full of anticipation. And that leaves me. Nicks at work all day. Last year Zoe was gone all day... but Ana was only gone to preschool in the mornings. I was lucky to have 2 1/2 hours a day. Enough time to schedule a haircut or a doctor appointment. Enough time to get some laundry done or a little writing. Random daily "chores". This year both girls are full day. Ana was really ready for more than 1/2 day kindergarten (even less time in class than last year!) so we signed her up for our schools "new" enrichment program (this is the 2nd year for it). 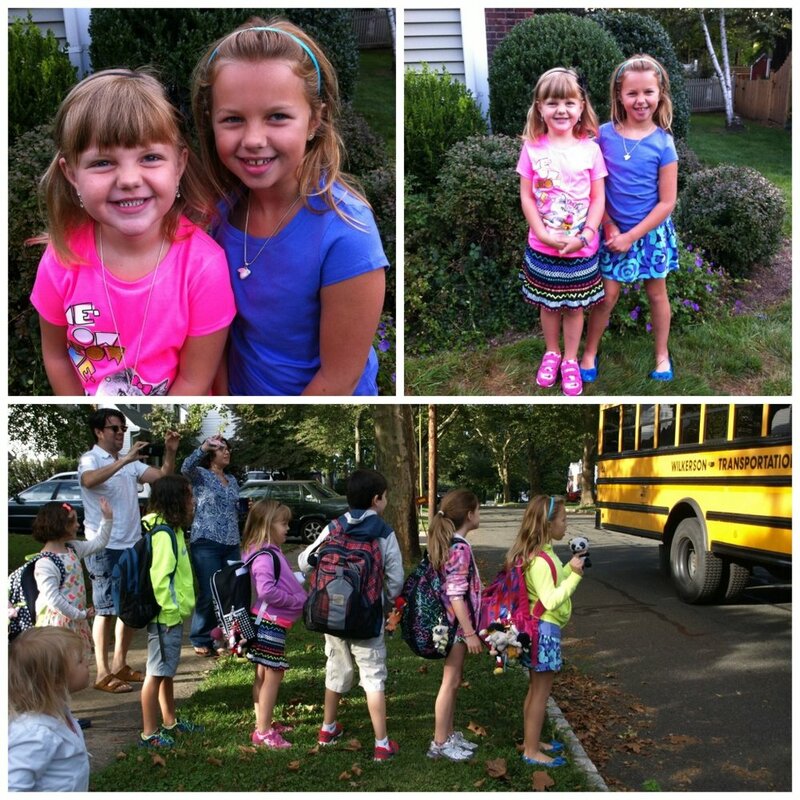 Ana gets on the bus with Zoe, has AM-Kinder, lunch, and then PM-KWAP, then comes home on the bus with Zoe. So... I have to figure out my own schedule now. It feels like I'm going to have a lot of empty hours right now... but I know that will change. What are my current plans? I'm throwing myself into the SAHM roll for one thing. I signed up to be class parent for Zoe's 3rd grade and Ana's K-WAP. I'm Zoe's Brownie leader (1x a month meet). I'm doing lunch duty on Tuesdays. I'm also doing a few things for myself. (Like signing up for The Matinee Club and checking the Y adult class schedule.) And... I'm going to try working more on writing and social media. I'd really love to make this "hobby" into something more. Did you kids all get back to school? What are you up to now?